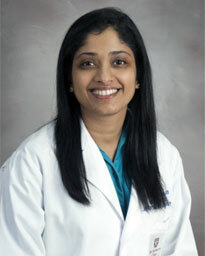 Sudha S. Tallavajhula, M.D., is a member of the faculty in the Department of Neurology at the University of Texas Health Science Center at Houston (UTHealth) Medical School. She is the Medical Director of the Neurological Sleep Medicine Center at TIRR Memorial Hermann. Dr. Tallavajhula attended medical school at Chengalpattu Medical College in India and completed her Internship in Internal Medicine and Residency in Neurology at The University of Texas Medical Branch in Galveston, Texas. She also underwent Fellowship training in Clinical Neurophysiology followed by Sleep Medicine at UT Houston Medical School. She is board certified by the American Board of Neurology. Dr. Tallavajhula's research interests are in epilepsy, sleep disorders, complementary and alternative methods for treatment of insomnia and sleep-disordered breathing and bidirectional relationship of sleep and traumatic brain injury.